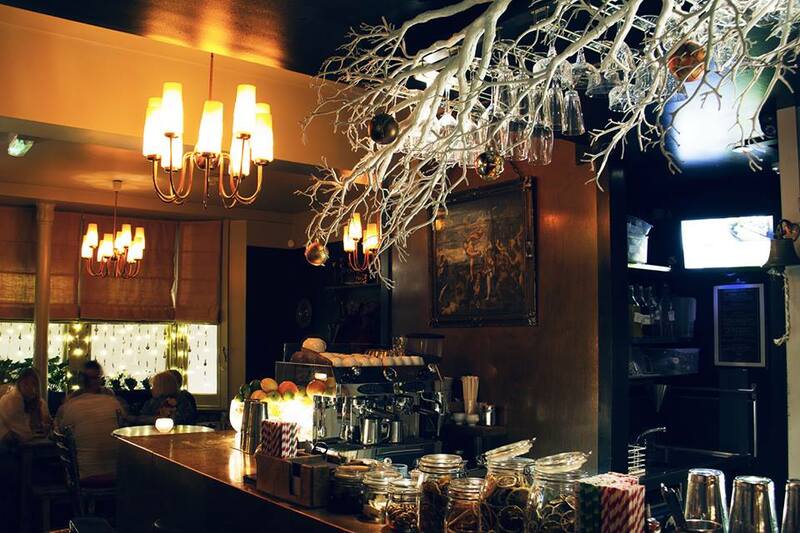 Tucked away in a quiet little backstreet off the Old Steine, the Plotting Parlour Brighton has such a discrete and stylishly understated exterior it’s easy to saunter past, without realising the delights inside. 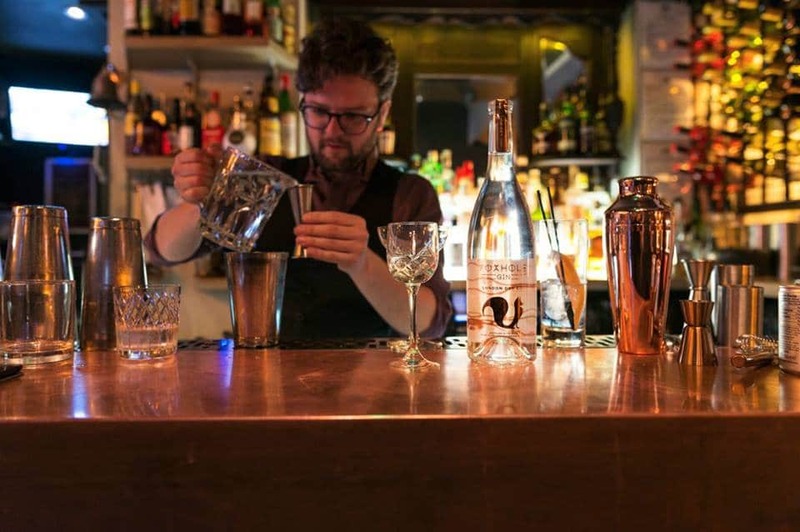 Branded as “Brighton’s best secret” and with such a cool, conspiratorial name, the sense of discretion and mystery play a huge part in its charm. The dark blue/grey outside paintwork, half-frosted windows and its hidden side-street location all lend an air of excitement to when you discover, on entry, that unlike its imposing, austere exterior, once inside it’s like a sparkly, twinkling treasure box of treats reminiscent of some sort of posh Prohibition era speakeasy. 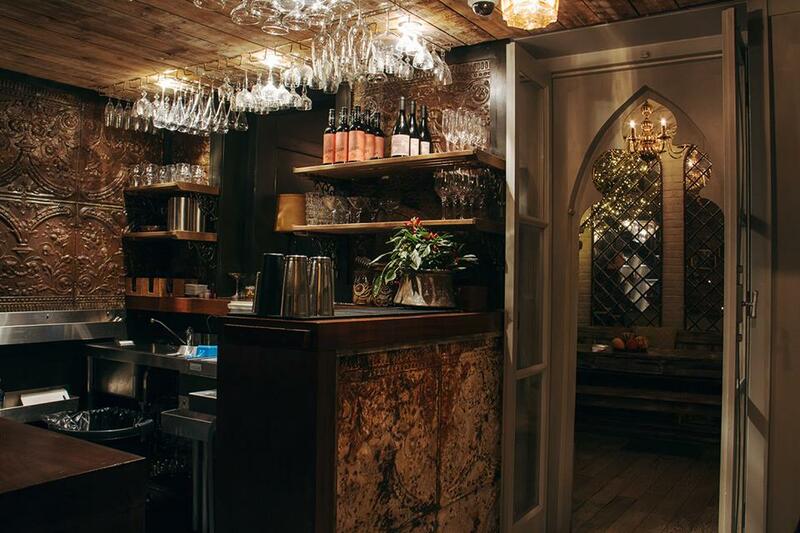 The ornate, sumptuous interior has a cosy, classy feel with distressed shabby chic furniture alongside quirky curios and gorgeous, glinting glassware. It’s table-service only, so there’s not the usual scrum at the bar you encounter elsewhere: instead you can sit down and relax while the staff do all the work for you. 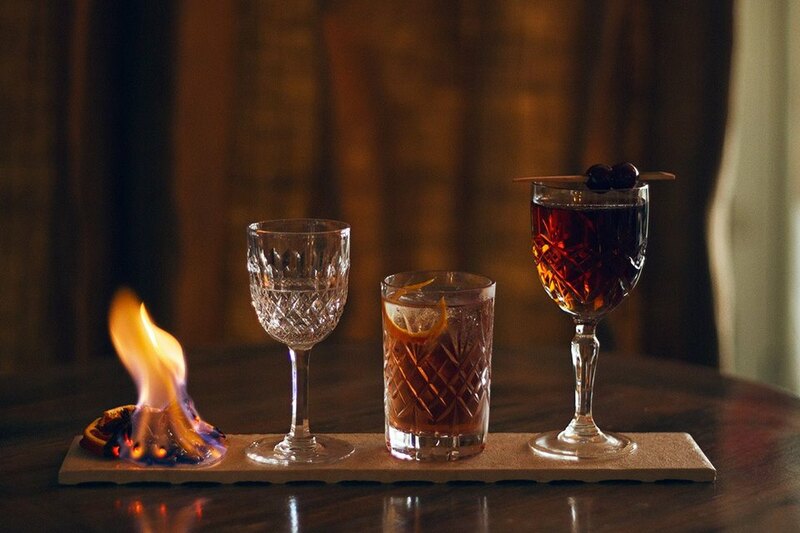 Cocktails are the speciality here – bright, brimming, creatively-prepared jewels that include innovative twists on old classics, such as Sage Against the Machine, described as a “sage-based mojito for interesting people” and a Ginger and Chilli Margarita for those in need of some extra fire in the belly. The use of exciting ingredients is a real stand-out feature, such as the Comin’ Matcha – a Margarita made with matcha tea as well as silver Patron tequila and lime sherbert – and The Chai Wallah’s Tipple, an infusion of Opihr spiced oriental gin with masala chai tea, turmeric, kaffir lime leaf and mango. Wow! Needless to say, despite The Plotting Parlour’s image as Brighton’s “best secret”, word has obviously got out: book a table in advance for a guaranteed seat. 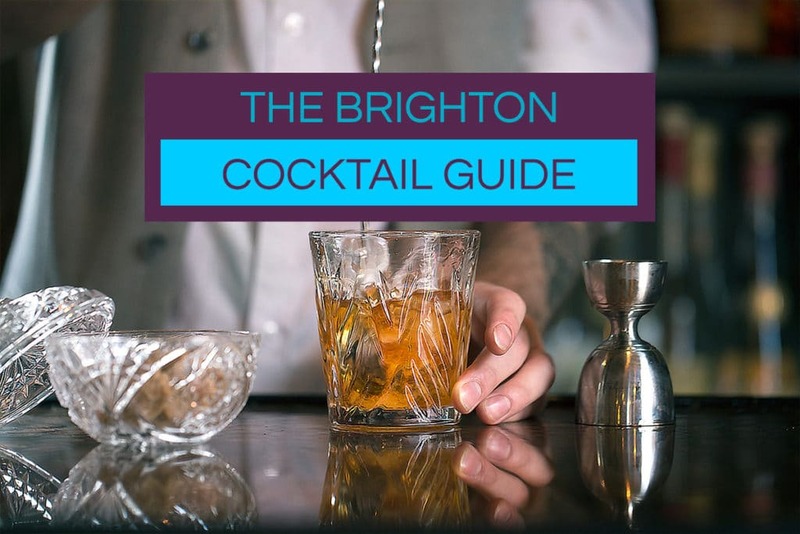 Top place to drink cocktails in Brighton, lovely atmosphere, table service inventive cocktails and knowledgeable staff. The only downside is it’s always busy now, but you can get around that but booking ahead and certainly, their success won’t discredit them a five-star rating.